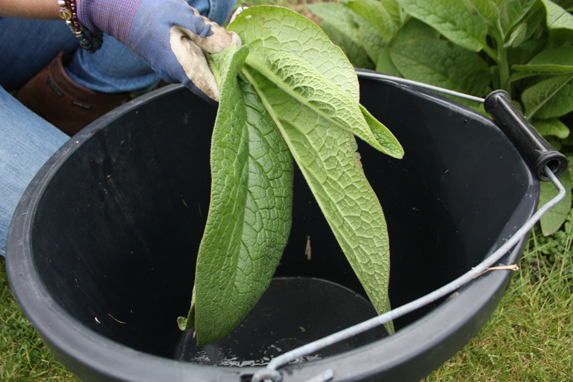 With the large amount of rain we have had over the past few weeks, my comfrey plant has put on large leafy growth; enabling me to start making my own comfrey feed earlier than last year. I had started off my nettle feed about eight weeks ago and already have cartons full of this rich Nitrogen feed. 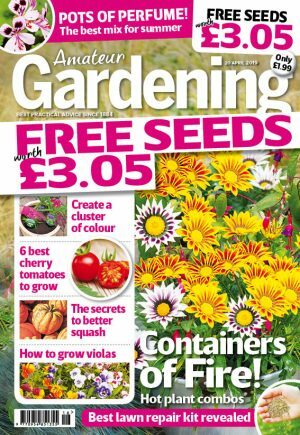 With starting up a comfrey feed also, I will, be able to feed my plants with other valuable nutrients, such as potassium! And the best bit? It’s free. The plants are very big and although they have not yet flowered I am going to start taking the bottom leaves away to make the feed. Best to wear gloves, the hairs on the leaves can irritate the skin. 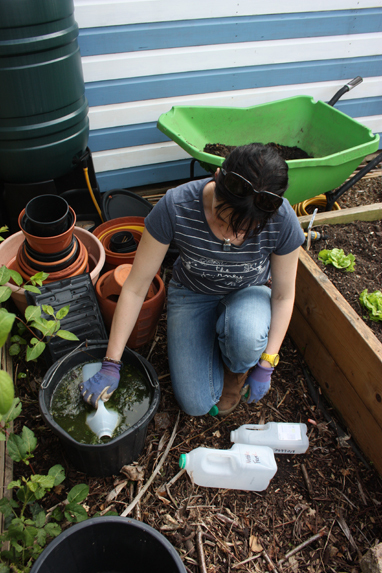 To make the feed, chop up the leaves and stalks, place in a container and fill with water until covered, place a lid on top and weigh it down. The rotting process should take about four weeks, but it will depend on the weather. 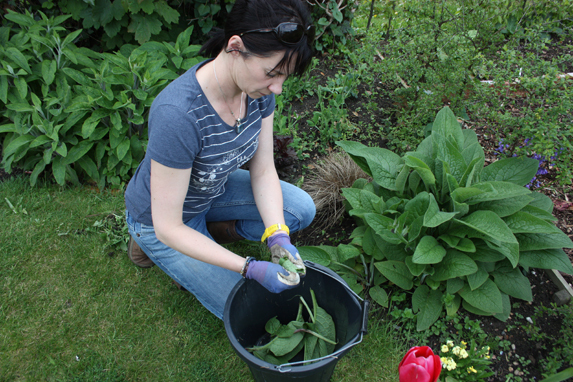 Pour into old milk cartons and when needed, dilute to about one part comfrey with ten parts water in a watering can. My shed will be a very smelly place, but worth it.